Plumbing professionals are always important within the plumbing world. Some homeowners have limited knowledge of small plumbing repairs. Some know how to unclog a toilet, others know how to replace them. You can replace the shower head or even install a faucet. However, a lot more goes into plumbing than just these small odd jobs. 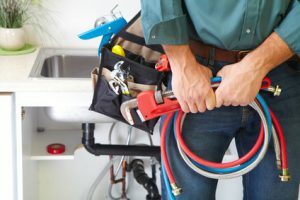 If you’re not a plumbing professional, then you know how some of the tasks that come about are a bit harder to handle than others. This is definitely something to consider. They can do the jobs that you’re unable to do yourself. The same is true for many other professionals out there. They have gone through the necessary training to provide these specialized services. The people that have the problems then give them a call to come out and fix the issues. This means that households and even offices need these professionals. One of the biggest jobs that plumbers have is the plumbing systems in homes that are not seen. You may hear the water through the pipes, but you don’t see the plumbing hidden in the walls and floors of a home. These systems are rarely thought of. However, when something is happening within them, you probably do not know what to do. A professional plumber is able to locate the issue and then have it fixed. They do not have to look up specific information. Usually their backgrounds, training and experience with systems allow them to know right away what the problem you’re having might be. Hiring a professional plumber is extremely helpful in many instances. Never underestimate the value of using these professionals to your advantage. Never worry about not being able to have the plumbing problems you have covered. You can ensure that you can use the plumbing in your home again. You may think all problems in the home can be fixed without the use of a professional, this is far from the truth. Always consult with one regarding any plumbing issues that do happen. You’ll feel better with the quality of reliable information you’ll receive. Speak with professionals near you today. First, find out how they plan to help. Next, gather some information about them to make sure that you’re making the best possible decision on what to do and how to do it. You don’t ever want to be talked into doing more work than you require, especially in times of an emergency.